Others reported that the Governor had been informed of the transaction, that the self-called Sheriff had claimed he would bring an army to his aid, and that he would demolish Lawrence. The unnamed others probably included members of Samuel Wood’s band of rescuers. They might also by the time of the meeting have had word of Jones doing as he threatened. The news would have come from Franklin, a town quite near to Lawrence. Though my map of territorial Kansas, printed in Etcheson’s Bleeding Kansas: Contested Liberty in the Civil War Era, lacks a scale Franklin appears nearer to Lawrence, if somewhat further east, than Blanton’s Bridge where Wood and company took Branson from his captors. Testimony describes the bridge as only a few miles off. It seems reasonable that a rider could have carried word between the towns in short order. Samuel Jones did the same, if coming up from the bridge to Franklin rather than riding from Franklin to Lawrence. The day before Branson was said to be rescued, Mr. Wallace, of Franklin, asked me to attend to his store, which I agreed to do. After I went to the store the next morning I went to the hotel and saw Mr. Jones writing. Mr. Wallace and myself went into the room together. Before we went into the room he had told me that Mr. Branson had been rescued from Mr. Jones and his pose, of which he was one, by thirty or forty men. At least as far back as George Douglas Brewerton, those trying to learn what happened when Wood met Jones and came away with Branson have noted wide disagreement over the number of men involved. The lower estimates, with both sides under twenty, seem more likely. He then told me that Mr. Jones was going to send to Missouri for aid, and it was suggested that we should go to Mr. Jones to try to stop it. Mr. Wallace expressed himself opposed to sending to Missouri. After we went into the room and found Mr. Jones writing, Mr. Wallace remarked to me, “Mr. Jones is now writing the despatch to send to Colonel Boone.” Before going into the room I said, “Why not send to Governor Shannon?” I should think I was not more than two feet from Mr. Jones when he was writing what I was told by Mr. Wallace was the despatch to Missouri. The conversation was loud enough for Mr. Jones to hear, although the room was nearly as full of persons as it could well hold. That man is taking my despatch to Missouri, and by God I will have revenge before I see Missouri. Another message went off to Wilson Shannon, asking him to rouse the militia. Jones sent it after the one to Missouri. Prather thought that Josiah Hargis carried that missive. Charles Robinson thought the hammer would soon come down on Lawrence and the free state movement. Samuel Wood had taken a lawful prisoner, Jacob Branson, at gunpoint from an officer of the law and his duly-deputized posse. Some Kansas firebrands might have welcomed the confrontation that must now ensue when Sheriff Jones got to Governor Shannon and the territorial militia came down on their heads. Robinson appreciated the real danger they now faced, to the cause as well as their persons. What would happen if Shannon appeared at the head of a column of men, Jones at his right hand? Here, then, was the first skirmish, and what should be done? Undoubtedly the force would be called out by authority of the Governor, and to resist it would be to resist Federal authority, which could not be thought of for a moment. While the Free-State men might, under favorable circumstances, resist the bogus local authority, the moment a Federal officer appeared all were loyal citizens of the Republic. The free state Kansans had always stressed that they only rejected the authority of the bogus legislature and its agents. That extended to Samuel Jones, one of their sheriffs, but Wilson Shannon held his commission from Franklin Pierce. He served as an officer of the federal government to which antislavery Kansans had often proclaimed their loyalty and which they hoped may yet send them relief. Taking up arms against him could ruin their fragile bid for respectability and turn many sympathetic Americans against them, just as later many northerners who opposed the Republicans and antislavery decided that the defiance of federal authority warranted forcible suppression. A meeting was convened of our citizens to learn the cause of the excitement. -A chairman was elected, the object stated, and the particulars of the arrest and rescue were given by Mr. Branson, and listened to with profound interest by the people. Mr. B. spoke calmly, yet feelingly, and closed with the remark that he was in the hands of his friends, -alluding to his rescuers,-and would abide their judgment. He then told them that he would call out the militia to enforce the law. The tar and feathering sounds a bit more like a proslavery maneuver, but one doesn’t have to reach far to believe the people of Lawrence made threats against Jones and promised to obstruct his official duties. They declared often enough that they meant to resist enforcement of the laws as a matter of policy. They might also have threatened Hugh Cameron over the warrant. One can hardly deny that they had a militia, given the ladies of Lawrence presented a flag to its commander back on July. The man who received the flag, to make the connection especially clear, likewise led the party that took Branson from Jones. How could this look like anything but the start of an armed revolt? Samuel Wood liberated Jacob Branson from Samuel Jones and his posse. In doing so, he and his gang of free state men staged the first large-scale, armed defiance of the territorial government. Jones had a legal warrant for Branson’s arrest on charges of his threatening Franklin Coleman and others. Wood had his own say-so and the conviction of the free state movement to reject Kansas’ legal government in favor of their own. Had any in the posse missed the significance of events, Wood spelled them out by refusing to recognize Jones as a sheriff or even to acknowledge the existence of Douglas County. That the matter was premeditated but a few Free-State men at that time doubted. 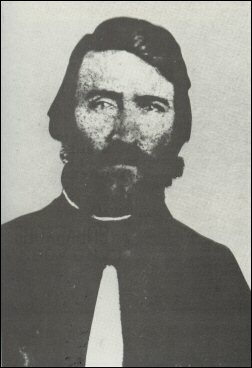 The killing of Dow was not of itself sufficient to bring on a conflict with a pretended legal officer, but the arrest of such a man as Branson when the people were enraged at the murder would most likely provoke a rescue, which was the excuse desired for calling out the militia, which meant the people of Missouri. In fairness to Robinson, Branson’s arrest would understandably have provoked suspicion. How did one justify arresting Branson, an old man, when Franklin Coleman remained free? They had an actual killer loose and the territorial government seemed bent not on seizing him but doing striking against his enemies. That the enemy in question served as an officer in the Kansas Legion had to further inflame free state paranoia in already fraught times. 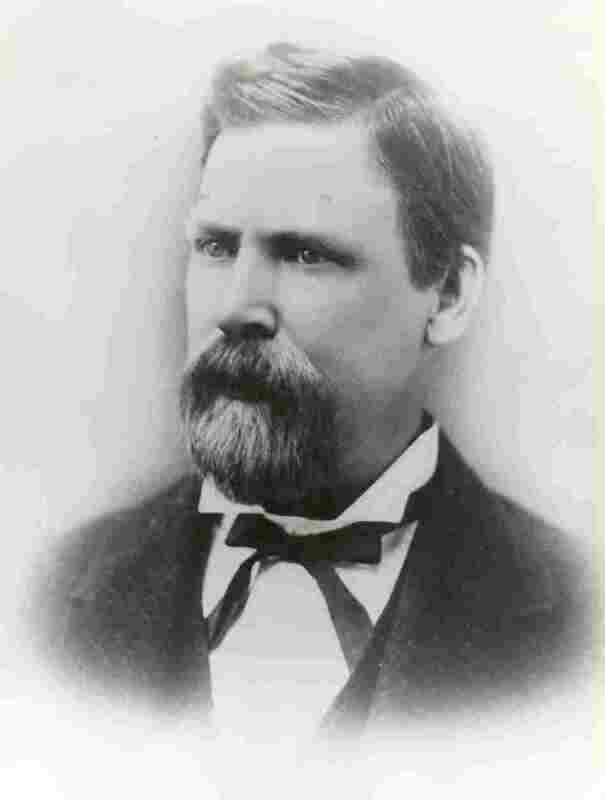 National Democrat and professed Free-State man who, as judge of election, received the votes of Missourians on the 30th of March […] He was appointed justice of the peace by the county commissioners, who were appointed by the Territorial Legislature, which Legislature was elected by the invaders, aided and abetted by Cameron. 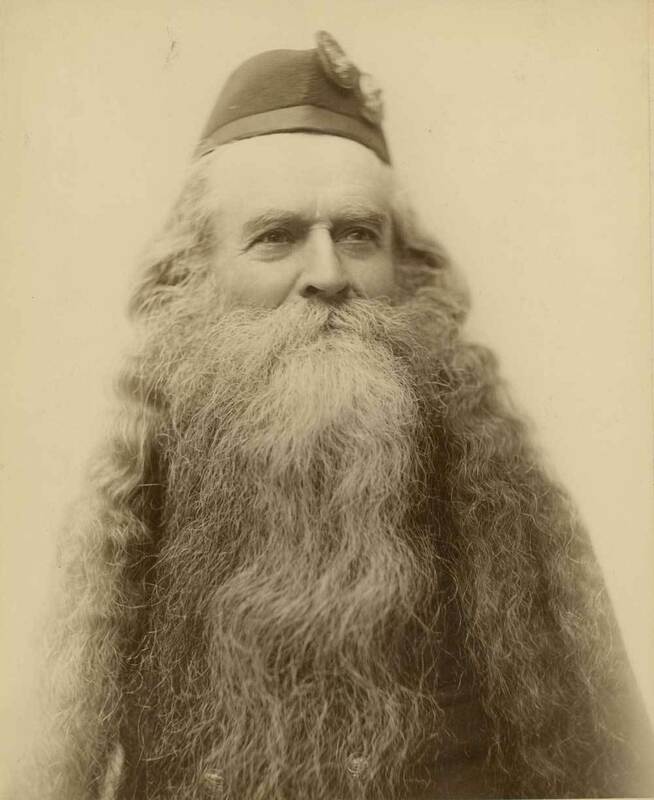 Hugh Cameron’s impressive facial hair could not hide the appearance of impropriety. From our remove, and knowing what we do of the Coleman-Dow dispute, Robinson’s impression that all of this came down to an elaborate proslavery scheme seems far-fetched. But he and the other free state men had neither the benefit of hindsight nor the full version of events before them. They just knew state officials had come after free state militia leader instead of the murderer of a free state man, and appeared to benefit from a quid pro quo to get their warrant. In their position, how could it look like anything but the opening of an organized campaign of suppression? Samuel Collins fell to a lone proslavery man, or that man and his immediate friends, but Jacob Branson literally had the law after him. that probably this action would furnish the long-wished-for pretext for calling out a force against Lawrence […] No one could doubt that the Governor would call out the militia, ostensibly to enforce the law, but really to humiliate the Free-State men and destroy Lawrence, or at least to compel the surrender of the Sharp’s and other rifles at that place. Two rods separated Samuel Newitt Wood and his twenty or so free state men from Samuel Jones and his about a dozen proslavery men. That meant not that someone left rounded sticks in the road but rather a unit of distance now obscure. A rod runs five and a half yards long, so two rods make for eleven yards or thirty-three feet. That sounds awfully close for two large parties of armed men, but presumably neither party proceeded at a gallop to be heard from afar nor rode with torches or lanterns to aid in their spotting. When we were within about half a mile of Blanton’s bridge, I saw some men who appeared to come from behind a house; and as we were going on at a pretty smart canter they stretched out across the road where we were, I should suppose about fifty yards from the house. Those men were on foot. Those men who were with me then spurred on, presenting their guns, leaving me a little behind, until they got within twenty or thirty feet of those men, and as they did not give way, they halted. I heard someone from the other party say, “That’s what we want to know; what’s up?” I then spoke, and said; “They have got me here a prisoner.” One from the other party said: “Is that you, Branson?” I said it was, and he told me to come over to the other side. Two men were by me then, and one said: “Don’t you go, or we will shoot you.” I told them to shoot if they wanted to, as I was going. I then rode forward, and got to the other company, and got off my mule, and asked what I should do with it. Some one said, “let it go to hell;” and I let go of it, and some one gave it a kick, and it went back towards Jones’s party. He also takes credit for kicking the mule. Guns were aimed and cocked upon both sides, but just as Branson left one of the opposite party lowered his gun with the remark, ‘I ain’t going to shoot.’ Jones then advanced upon horseback, said his name was Jones, that he was Sheriff of Douglas County, Kansas, that he had a warrant to arrest the old man Branson, and he must serve it. That Jones would wait until he’d lost charge of his prisoner to identify himself seems strange, but he waited quite a while to identify himself to Branson too. One gets the sense that he didn’t feel he had to answer to any antislavery Kansan. Never shall I forget that seven miles’ ride. Almost the whole distance was passed in silence. Just as we came to the timber I turned and inquired what we should do if we found the rascals at Branson’s. Nineteenth century Americans did not understand rascal as a playful description. Rather they took it as a dire insult which might only be wiped clean with bloodshed. Given Wood understood Samuel Jones’ posse as aimed at Jacob Branson, and sent out the call for his own band to gather before setting out himself, he clearly foresaw the potential for the kind of treatment rascals deserved. Abbott answered Wood tactfully. As the leader here, Wood should decide what they would do. Wood surely knew that Branson held a rank in the Kansas Legion. He probably did the same, as the newspapers have Wood in command of a free state military company all the way back in July. He had one of his own to protect. If he didn’t, he might very well find himself next on Sheriff Jones’ list. The party debated what to do next, having gotten up their mob and found no one to sick it on. we were about sending messengers to the pro-slavery town of Franklin for information, when all at once some one announced, ‘They are coming.’ Pell-mell we rushed out of the house and got into the road ahead of them, they halting within two rods of us. We left Jacob Branson, Kansas Legion officer and landlord to the murdered Charles Dow, on the night of November 27, 1855 and in the custody of a posse led by Sheriff Samuel Jones. Some time after taking Branson, and escorting him over to where they could lubricate themselves, Jones explained his business to Branson at last. Only then did his charge learn the identity of his captor and reason for his seizure in the middle of the night. Another group of armed, displeased men rode around Hickory Point that November night. 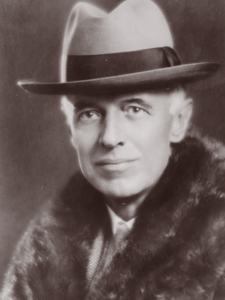 Franklin Coleman’s murder of Dow caused much excitement and men had come down the day before from Lawrence to attend a public meeting on the subject. This meeting convened on Friday, the twenty-third. As Kansas meetings tend to, this one called for a sequel on the coming Monday, the 26th. Samuel Newitt Wood, of the Fourth of July festivities fame, attended both meetings and recounted his experiences in a 1857 letter to A. Wattles, reprinted in Charles Robinson’s The Kansas Conflict. The meetings set up a vigilance committee and appointed Wood to question witnesses, in the course of which he discovered or “discovered” that Dow died not as a result of a long-running land dispute but rather on account of his antislavery politics. Much feeling was manifested against Coleman, and a strong disposition exhibited to burn his house, which stood near. Three or four men broke down the door, rushed in, emptied a straw bed upon the floor, and fired it. S.C. Smith, S.N. Wood, and others rushed into the house, smothered the flames, clearing the house, and amid the greatest excitement, some crying, ‘Burn the house,’ and others interceding to save property. S.N. 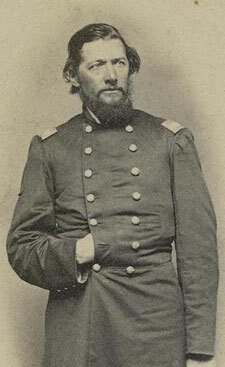 Wood jumped upon the fence and said murder, pillage, and arson were the peculiar avocations of our enemies, that houses were too scarce to be burned, and that this meeting must not be disgraced in this way. Wood moved as the sense of the meeting that the house not be burned, which was carried unanimously, and the meeting quietly separated. Branson also agreed that the men at the meeting wanted to burn Coleman out. He, like Wood, opposed the measure. The house still burned. That Wood stresses the bad press that the arson might bring on the cause, and the meeting’s attendees personally, might come down to good politics in persuading the more radical members of the crowd. It also might have come out of his genuine sentiment that the free state movement could not afford a reputation as arsonists. Or it might have served as cover for the members who quietly went off and burned Coleman’s and Buckley’s homes thereafter. Someone committed those arsons, and with a meeting of around a hundred free state men nearby so soon beforehand it seems likely that the guilty parties stood with the rest around the site of Charles Dow’s death that afternoon. where we were met and told that a large party of armed men had just passed towards Hickory Point. I immediately urged the necessity of following the party to ascertain if possible their business to Hickory Point. We finally adjourned to Abbott’s for supper. After supper fresh horses were procured. One was sent up and down the Wakarusa to notify the settlers, two started upon foot to raise what Free-State settlers they could on the route and rendezvous near old man Branson’s, while Abbott and myself went to Hickory Point. Wood doesn’t name the party as such, but he must have heard of Jones’ posse. From his reaction, he has to have understood them as at least likely a proslavery mob bent on some kind of violence. On that count, he and Sheriff Jones apparently agreed. This past week, I saw a post from educational Youtuber Hank Green (@HankGreen) over on Facebook. Hank and his brother John operate the benevolent informative empire of SciShow, CrashCourse, and numerous associated channels. Hank found a quiz put out by an actual academic to tell the you how much bias influences your politics. He scored very well on it. I also took the test and beat the average by a healthy margin, though I didn’t do quite so well as Hank. Best to disclose that up front. I also don’t mean to call Hank out here. His Facebook post provided the inspiration, but dealing with bias constitutes a very large part of what I do here. Evaluating sources for bias comes in not very far under reading sources, and usually runs simultaneously with it. If you go around the Civil War block enough times, you’ll hear plenty of accusations of bias. Historians have a bias. Sources have a bias. Interpretations have a bias. Geography itself has a bias, apparently toward the North. The implication generally runs that the guilty indicate, by the presence of bias, shown themselves utterly untrustworthy. The speaker, emancipated by that discovery, can just skip reading the lot in favor of the unbiased. There one can learn the truth. The same argument runs through almost every subject on which people have differences. We could as easily have talked about the news as historical documents, or the questions asked on the test that Hank found. The liberating power of shouting “bias!” always works. I find the entire business frustrating, because it comes so close to a good point and then careens off into a weird mix of cynicism and naivete. The cynicism comes in with the assumption that the presence of bias invalidates all points. If we really believed that then we would believe nothing about anything including that. Rather we generally mean by it that people who disagree with us constitute a pack of lying villains we can and should dismiss out of hand. This conviction comes in tandem with the notion that those who agree with us we can accept uncritically as they have no bias. Not everybody will go to that extreme, and I don’t mean to suggest that Hank did or does, but just calling out bias and stopping there ends up in much the same place. I’ve seen others do it, and others have seen me do it, often enough. The bias road has a third exit, which generally goes unstated: we ourselves either have no bias or can easily set it aside when we make determinations about the bias of others. After a few years dealing with historical actors and documents, on top of all the normal business of life, I have come to find the latter assumption far more dangerous. What follows from finding what one considers an unbiased source, if not that we can then accept what this source says uncritically? We have not escaped bias then, but rather elevated it to dogma. In some perfect world, we may find that unbiased source and so come to no grief from taking it uncritically. In the world where we actually live, bias comes hand in hand with humanity. If you can think, you have bias. It comes from your upbringing, your values, your experiences, your education, how your brain chemistry sorts itself out, and literally every input into your life. All of us live in its thrall; none of us can escape. We all come from somewhere and we all take it with us into all the things we do, from the historian perched uncomfortably on the sharpest peak of the ivory tower to the latest newborn. Every stimulus gets processed according to the machinery already in place and in so doing becomes part of the machinery itself. This doesn’t make us bad. We do not acquire all our biases out of malice. But we do acquire them uncritically enough that we should do our best to keep close watch over them. As the world’s most peerless experts in fooling ourselves, that proves a daunting challenge. So naturally, we should give it all up. If we can never escape bias, then we can never do anything worthwhile or approaching the truth. Having no solution, we must either decide we have no problem and proceed anyway or we have to call it quits. Only the second allows us to make an honest choice, though even there we come freighted with biases in favor of consistency over contradiction. I even put my thumb on the scale by calling the latter the honest choice. Or we can do something else entirely, though this comes less naturally than either of the two previous options. If all of this sounds abstract, then let me give you a few examples. I’ve mentioned Ulrich Bonnell Phillips before. Phillips wrote the first real history of slavery in the modern sense. In so doing, he made one of these calculations and demonstrated very well how the cynicism/naivete dynamic plays out. Phillips had slave narratives available to him. He chose to discard them as hopelessly muddled and written as polemical works to inflame antislavery sentiment. In other words, the experiences of enslaved people as passed down to us came with bias. They couldn’t be trusted. Phillips had no trouble, however, accepting uncritically the writing of their enslavers. Those rare specimens of humanity had written objectively, free of their biases. This may sound so retrograde to us that it beggars belief, but it made perfect sense to Phillips and to a bit more than two generations of historians after him. For most of the twentieth century, the study of slavery involved very few enslaved perspectives. This held true even for historians with a far more positive opinion of the antislavery movement and black Americans than Phillips had. 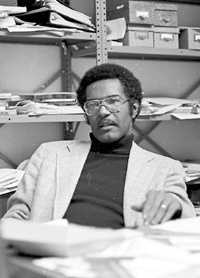 It took until the 1970s and the work of a black scholar, John Blassingame, for the change to begin. One still finds occasional historians who treat slave narratives as an expendable genre of literature rather than one which can tell us important things about slavery. The Economist generally likes their work. In my own late work, I’ve dealt with two murders committed by proslavery men against antislavery men. In both cases, the only eyewitness testimony I have found comes from proslavery sources. These naturally paint both murderers as acting in self-defense against aggressive antislavery partisans who both escalated the conflict and initiated the violence in their final, fatal encounters. Samuel Collins literally came looking for Patrick Laughlin to cause trouble. Charles Dow and Jacob Branson wanted Franklin Coleman gone so badly that they went against established custom to excuse their expropriating parts of his claim and leaving him with not enough to support his family. Or so the stories sympathetic to the killers go. The accounts in the Herald of Freedom generally swing the other way, but George Washington Brown doesn’t claim to have any witnesses to back himself up. His decision to paint both Collins and Dow as innocents murdered by brutes seems to have come down to consulting their politics. William Phillips, the author and journalist but not the lynching victim, did much the same. Branson, Coleman, and Laughlin all lived to tell their sides of the stories but they all had an understandable interest in vindicating themselves. How does one sort out that mess? Ideally, one could read proslavery and antislavery accounts against each other. When they agree, we can more confidently argue that things happened as described. Where they do not, we must necessarily consider both in their contexts and inevitably make subjective judgments about probability and plausibility. When I do this, I try for transparency by both admitting that I have made the judgments and sharing my reasoning. In no way do these judgments, or those of a real historian, constitute a science. In the past generation most historians have come to accept that we can’t manage any kind of perfect objectivity. Instead the discipline strives to integrate diverse perspectives in the service of mitigating the ubiquity of bias through commensurate diversity of bias. A diversity of sources, as diverse as one can get, considered fairly but critically will tell you more than one source or one type of source alone. Where they differ, you can read them against one another and see what falls out. However, this often makes for an unattainable goal. We have only so much time, money, and access to information. Sources which seem consistently misleading and deceptive may not deserve the effort put into integrating them. That holds especially true for sources speaking to things that happened in some external to the author sense, but less so for sources speaking to attitudes, feelings, and perceptions at the time. If you want to know what enslavers thought and felt, you’ve got to read them even though they frequently lie even to themselves. One should always consider who wrote a source and try to know something about the author and his or her circumstances. That includes their politics, upbringing, and their personal involvement with issues touching upon their subject. 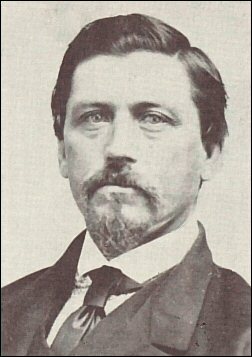 William Phillips (both of them) actually lived in Kansas and participated in antislavery politics there, which presents us with both an asset in firsthand knowledge and a liability in that they have enough personal investment to strongly encourage them to ignore or obscure facts inconvenient to the cause. Much the same holds true for Franklin Coleman and all the rest. More recent and scholarly works remain likewise a product of the same. Historians find their questions in their present, even if they dig into the past to answer them. Historical work inevitably comments on the present as well as the past. Interest in political violence, notably around Reconstruction, has had a considerable revival since September 11, 2001. Interest in moderation and consensus, along with enthusiasm for capitalism, similarly took place of prominence during the years of white prosperity after the Second World War. One should then consider to when the author wrote. William A. Phillips published his book on Kansas with the issue still very much unsettled. Charles Robinson wrote his decades after the fact. He had more hindsight to benefit him than Phillips, as well as a less urgent need to vindicate the free state cause before the nation with the question long resolved, but likewise took a very personal role in events. Those decades further added to the natural fading of human memory. On a broader level, one should take histories written closer to the event as inherently more invested in the event than those written later. That doesn’t mean that all early works don’t deserve reading, or that all recent works do, but the earlier authors often have less access to information and frequently worked in times with different scholarly norms. Assessments we find abhorrent, like U.B. Phillips’ dismissal of the slave experience, once raised no eyebrows at all. Our own time will have the same. One should further consider to whom the author wrote. William Phillips, like George Brown and Robert Kelley, wrote with a national audience in mind. Kelley’s and John Stringfellow’s Squatter Sovereign hoped to elicit the sympathy and support of southern partisans for their Kansas project, whilst simultaneously stressing the evils of abolitionism to depress its appeal to wavering northerners. Phillips and Brown hoped to do the same things, but in favor of their own Kansas project. Thus they have more interest than they might otherwise in emphasizing the virtues of their own side and vices of the other. Furthermore, they might not shy away from printing lies that anybody in Kansas could spot on the grounds that many readers would not have the firsthand knowledge to recognize the deceptions. As a person inordinately concerned with history, writing a history blog, I have naturally approached the subject through that particular lens. I submit, however, that these techniques apply just as well to sorting through the inherent messiness of humanity in other fields. We can’t figure it all out to perfection, but we need not make the perfect the enemy of the good here. Understanding better and more completely, if more complicatedly, may require uncomfortable and unaccustomed exertions, but remains within our power.